It really is about how you play the game! 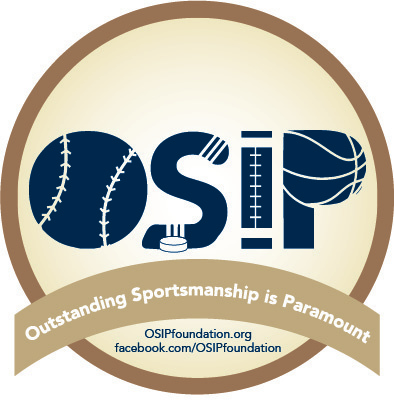 Please help support OSIP (Outstanding Sportsmanship Is Paramount) by purchasing the third t-shirt in a line of clever slogans and logos. We appreciate the donation to a great cause. 2. To raise awareness of the need for better sportsmanship in all capacities throughout sports. Founder Jack Furlong was inspired by many incidents, most notably the attack on Brian Stow in March 2011. Furlong ultimately believes that all sporting events and competitions in life can be held without malice and with respect for all involved. Have fun when you compete. Play your hardest. Leave it all out on the field, as they say. And enjoy and relish the opportunity, especially because those opportunities disappear as we age! But please do it all in a way that respects one another. For more information, please visit www.osipfoundation.org.